If you are a writer aspiring to get your novel published in India, here’s an image for you to mull over. You went to all those literary festivals where renowned Acquisition Editors took the stage and spoke into a microphone with élan and told you that, “Yes, we are always looking for fresh, new writing,” and you went home convinced that they were, in reality, looking for YOU. You went straight to your computer and typed away furiously, for days and with a click you hit ‘Send’ and it’s been six months now and you’ve been hitting the ‘Send-Receive’ button on Microsoft Outlook and you are back to being you – the waiter (er, somebody who waits). Recognizable? Consolation (if there is any): All authors, including us, have been the waiter before getting published. So, what’s the deal with publishing in India? Why is it so difficult to get a book deal? Here are some facts about indian publishing industry that you need to think about. We’ve also tried to give you tips on what you can do. That’s 700 – 2000 unread mails or more – each month! These are the unsolicited query letters or manuscripts (either electronic or physical) sent to a literary agent or a publisher, waiting to be read, waiting for a decision. Statistics say that 95% to 98% of all manuscripts or query letters in the slush pile gets rejected. Slush-piles are training grounds for fresh recruits in publishing; they are usually assigned to an intern or a junior resource to sift through. Even if this young 20-something finds your work from the pile and is convinced that you are the next big thing, s/he has to convince the person with decision-making authority – the Commissioning Editor. See, where I am going with this? The most ideal, and a bit idealistic way is to circumvent, dodge, by-pass the Slush-Pile. (It’s known to have happened before!) How? This is where you have to be at your creative best. There is no one way to do this. The one-word answer is that elusive word – INNOVATE. But, if we were to guess we might say – Be at places where you’re most likely to meet decision-makers. Sign-up for Master-Classes in writing at Literary Festivals. Stay-back after literary events and engage in interesting, engaging conversations. Make friends with the right people. Innovate like our dear friend Rishi Pipariya. Subscribe to writing sites like Booksoarus. You’ll find the link at the end of this post. A 90% (or higher) rejection rate is the norm. The most common reason for rejection is the quality of written work. Another reason for rejection is that sometimes there are too many submissions in similar vein. When Harry Potter and Twilight became a phenomenon more and more writers began writing books about magic schools and vampires and publisher’s slush-piles were flooded with these stories. Some of these stories, editors admitted, were well-written but the plot was very reminiscent of what was already seen before. Sometimes even published authors face rejection if their first books have not done well. There are no rejection-proof strategies. The quality of your work has to be top-notch. A strong narrative voice and plot is a must. If a story has not already formed in your head, do some market research. A lot of rejections occur simply because you have not followed Submission Guidelines of the publisher. Agents and publishers are particular to the point of being finicky about these things. You have to look at an agent or a publisher’s website and read the Submission Guidelines very, very carefully. If they ask for 3 Sample Chapters, do not send out the whole manuscript. If they ask for a one-page synopsis, they mean one-page, A-4 size, normally double-spaced until and otherwise specified. They don’t like fancy fonts; stick to Arial or Times New Roman. They absolutely do not want pictures or visual art (unless it is a graphic novel or a children’s book for which the guidelines will be clearly mentioned as well), so please don’t design your own cover and send it off by email. There have been enough debates for and against the literary agent but many publishers have gone on record saying they’d see a submission from a literary agent faster than they’d see something from the slush-pile. Why? Because, the literary agent has invested (wom)man hours and effort to screen these submissions. Difficulty Quotient (DQ) of getting a publisher’s attention is much higher than the DQ of getting an agent’s attention. There have been instances of first-time author’s pitching their entire book via a tweet to an agent or via a private Facebook message. A word of caution before you do any of this – what you consider innovation, someone might consider stupidity. Please speak to well-meaning individuals, people whose opinions you value, before you do something. Get at least 3 people to agree with your method and content. A query is an inquiry you send to a literary agent or publisher requesting representation from the agent or a publishing contract from the publisher. In some cases these are just ‘Inquiry’ dialogue boxes which form part of their website. So, be careful what you fill up in there! When querying an agent or a publisher you have to provide a brief summary of your work (not to be confused with synopsis) as well as provide your author credentials. You should include the genre you are writing in and the length of your manuscript (in word-count until specified otherwise). Needless to say, the query needs to stand-out. Keep it short, crisp, clever and well-written. Use hook sentences and refrain from writing things like, “this is a niche and unique concept,” or, “this is the best thing to have happened since sliced bread!” That’s for the publisher to decide. We’ve written two posts on what the synopsis is (synopsis for a short-story collection and synopsis for a novel) and what it entails. To summarize, the synopsis is a summary of your work. What it really is is that it is a marketing tool, an attention-grabber, a chance for your writing to get picked up. Whether you are going through the slush-pile route or around it, nothing works like a good pitch. Have a synopsis of your novel ready with you. Invest time and energy to get it right; read as many as book blurbs as possible to be able to produce a synopsis that is intrigue-inducing. Publishers are more inclined to publish somebody who is known to some extent rather than somebody who is completely unknown. A known person, either a celebrity or somebody who has become famous online for their blog or tweets or somebody who has been in the news, is a brand by themselves. There are plenty of opportunities to publish smaller pieces – short stories, flash fiction, opinions, travelogues, short cookery columns, whatever is your poison! Be everywhere. Right from Vogue to Elle (yes, the fashion magazines, yes the Indian prints), every magazine solicits writing at some point of time or the other. There are plenty of literary magazines (online as well as print versions) that solicit your writing. Enter competitions. Commonwealth Short Story, BBC Short Story – there are a lot of opportunities! Go to www.commonwealthwriter.org and look for Writing Opportunities. If you have a few publications in your name, the journey to becoming published novelist is easier, slightly. For a first-time author, the standard market norm is that publishers will print 2000 copies (sometimes lesser) of their book. This is the 1st edition. Depending on demand and the way the book is received, a decision is made about subsequent prints. A book going into reprint is of course good and publishers use this statistic (number of reprints) to publish subsequent books of published authors. So, you can imagine what a best-seller looks like. Far from the one-or-two-million-copies-sold status of ‘phoren’ books our desi books are labeled as ‘best-sellers’ when they sell anything between 10,000 copies to 400,000 copies! Of course, this depends on the genre (literary fiction will sell far less than populist fare but that’s another story all together). Book Royalty is a % of the cover price paid to the author. Sometimes it varies for hard-back books and paper-back books. They vary between 7.5% to 15% although some authors and agents with bargaining power (because of previous record sales or critical acclaim) negotiate upto 20% of the cover price. If you are represented by a literary agent, they are entitled to a commission that ranges between 10% to 20% of your royalty amount. For instance, if the cover price of a book is INR 100 and you are getting a royalty of INR 10 for every copy sold (@ 10% royalty), you will be paying your agent INR 2 for every copy sold (20% of INR 10) as agent commission. Advance is the amount paid to authors, adjusted against royalties normally, before book sales and after receipt of a manuscript acceptable by a publisher. Advance amounts vary from as low as INR 10,000 to INR 100,000 for first-time authors. Established authors with that elusive bargaining power are known to get INR 500,000 onwards. When your writing gets accepted for publication, the process becomes a buying and selling transaction. The publisher buys out your right of distribution and dissemination but you retain the right of being named as the creator and the author of that work. When the publisher buys out your rights, it is normally for a particular territory, say, India. So, in India only the publisher has the sole right to print and distribute your book and make money out of sales. If you have sold rights for only a particular region (say India), you then retain the right to negotiate with agents and publishers and sell your work in other territories (say UK, USA etc). Publishers sometimes buy worldwide rights from you. Rights also include movie rights, ebook rights, merchandising rights etc. These clauses can be built-in and customized to your benefit, depending on, yes, you guessed it – how much bargaining power you and your agent has. Nothing and absolutely nothing can replace the quality of work. Nothing can replace a strong narrative voice and a strong plot. Nothing can replace novelty and a good writing style and an evocative story. Often writers are unable to accept criticism for their work. It is necessary to divorce emotion from your work and solicit and accept objective feedback. Recently, somebody wrote to us for a critique and we read the work and found both the writing and the storyline extremely mundane. When we told the concerned person that the work lacked in novelty and that it has a seen-it-before feeling, said person completely disappeared from the scene! From personal experience, I can tell you that I was able to get a book deal only after I subjected the book to total brutality. 6 or 7 independent persons (professional editors as well as academic and peer reviewers) read my work and trashed it. I must have rewritten the novel at least thrice before it was accepted for publication. You have to be receptive yet immune to criticism, ready to accept your own mistakes and be willing to change it. Sensitivity won’t help your cause! Keep writing. Keep rewriting. Keep reviewing. We wish you all the very best, fellow writers. If don’t know anyone in the industry and you are looking for specific inputs, reach out to us (through comments, emails). We’d be happy to share some more tips and advice to help you in your journey to get published. 1) Is it necessary to hire a publishing agent if I have to get my book published? If yes, can you suggest a few publishing agents? 2)What are my chances if I contact a publisher directly? 3) This one is very important:Should I get my book copyrighted before sending the whole script to any agent and a publisher? 4)And should i continue sending the scripts to publishers even after consulting a publishing agent? 5)Should I send my script to a publisher(I have finished writing) now or should I revise it a couple of times before sending? I was thinking of sending now since they take time to reply. 1. You don’t need an agent to get published in India. Most authors approach publishers directly. Here’s a list of literary agents in India. 2. In absolute terms, the chances of getting published by a mainstream author are very low irrespective of whether you go directly or through an agent. 3. That’s a personal call, depending on how paranoid you are about manuscript theft (very rare, btw). 4. Don’t duplicate work if your agent is doing it on your behalf. You don’t want to mess up their efforts. 5. Get it in the best possible shape before you send out anything to the publisher. After battling the odds, if you get some interest from a top publisher, the last thing you’d want them to see if a shoddy half-baked manuscript that they’ll reject outright after the first few pages. If you aren’t sure about the quality of the plot or writing, hire a good, independent editor to polish it up. It’ll be well worth the money you spend. Can you tell me what should be approximate length of a fiction novel both in terms of words and pages(assuming MS Word)? and Should I use more than one agent to represent my work or just one? and won’t a publishing agent revise my manuscript? Saurabh: You’ll find this useful: Average word count for books: How long should a novel be? Most literary agents will have an exclusivity clause in the agreement. So you can’t work with multiple literary agencies. Strictly speaking, an agent is just expected to sell your book to publishers. There are conflict-of-interest issues when they are doing more than that (like editing, publishing etc). I have read advice from many so-called authors but your manner of writing has intrigued me. I felt very comfortable reading two articles that you wrote and posted on the Internet, they made me feel as though I already knew you; however, we have never met. I live in Utah, USA., I am a non-fiction writer, and I am investigating the possibilities of publishing in India, for the India population. As I move forward, would you mind if I used you as a sounding board, someone that I can ask questions about India without feeling foolish because of my lack of knowledge about India? Thanks for your kind words about our site. You are more than welcome to post your queries. We’d be happy to share perspectives on getting published in India. It’s a difficult market, but with huge potential. You mentioned above hiring independent editors to polish the script? Can you suggest some of them as I googled but it wasn’t of much help. I want to publish a non fiction love story and for this I want to know regarding the names of the character which I can use…I.e…..will I be able to use the real names as its needed for the book to describe a lot facts and feelings…or better to use any other name to avoid litigation…. @Vinay: Non-fiction + love story. That sounds interesting. If you want to retain the real name, you could get the permission of the individual you are referring to. Alternatively, a fictitious name might work just as well, if the reader isn’t concern about the actual personality behind it. There’s no maximum limit as such. Check out some of the popular books in a similar genre and then take a call. Thank you very much for your vivid and elaborate explanation on top. it’s really very helpful for new writers. as i am the writing my debut book, non – fiction break up story,i have couples of queries over here. 1. If i want to do copyright of my manuscript before sending to publishers/agent, how to do that? 2. If once my manuscript get rejected by publishers/agent, can i send it again to them after rewriting or reediting it? 1. The Copyright site (copyright.gov.in) has the details. You might find this useful: Should authors copyright their work? 2. Sure, you can. Wait for a while though, or they’ll start ignoring (or worse black-listing) you. Here’s another post on re-submitting query letters. Hey Sameer, thanks a lot bro! you really won my heart with your quick response. i rarely find people like you. I am currently writing a fiction. Mythological fiction to be exact and that too in three parts. So in your opinion is trilogy acceptable by the publishers arriving from a newcomer? Secondly, the Sci-fi genre is about at trivial in Indian market but slowly gaining the pace in the league. Would you recommend writing over this genre for present time? Glad to hear that you found our site useful. The last successful guy who tried his hand at writing a trilogy did so in an unusual genre (myth fiction)…and Karan Johar purchased the movie rights for a huge amount. On the other hand, cliched and over-abused topics like college romances still make the cash counters jingle. So, it’s not so much about the genre being niche or mainstream. Publishers are happy to accept any genre that’ll help them stay in business. Show them your book has a market, and they’ll sign you. Don’t try to reverse engineer and don’t try to time the market. That way you’ll always lose. Instead, write what comes best to you, and then try to sell it in the best market for that book. This is the first ever kind of website that I ever come across and you replying to everyone’s query right away, really appreciated Man. You are doing a job on your own and the others are actually, benefited out of it and surprisingly, for absolutely free. I do have a query as well and is the reson that I am here…Could you please tell me how to ensure the work which I want to the publish doesn’t gets stolen. Thanks for the nice words, dada! Most authors are quite paranoid about the possibility of their work getting stolen, but I don’t think this is really a problem. One option you could check out is copyrighting your work. Read this post: Should authors copyright their work? However, this can only serve as a deterrent to a limited extent. Rather than worrying about this aspect, I’d suggest going ahead and getting your work in front of your readers. Build your author brand. That’s the best safeguard. Thank you for the quick reponse. The words…you really deserve it Sameer. True,copyrights will only work as a detterent but buliding an author brand… exactly how would you advice to build an author brand…If you can brief a bit in short would really be a help. Thank you Sameer ! This is really helpful. I am writing my first novel and it is a thriller and suspense based novel… I have read your blog about the literary agent (It was really helpful) I went through them and found that they need a synopsis which should not be more than 2 pages.. So I started writing a synopsis for my novel, but I realized that I am not able to cover the essential part of my novel(which is required while telling a mystery) in just 2 pages.. So should I send them my synopsis which is of 3 pages or should I cut it down to 2 pages.. ? In the second case, I may lose the essence of my novel.. So help me out..
Nayan, I’d suggest sticking to the submission guidelines. Writing a synopsis is more difficult for authors than writing the whole book. However, a little practice and re-structuring should get you there. I found this article very useful. There’s a great deal of information here for a writer aspiring to get a novel published. I am a writer of feature film scripts. There’s a script I’ve written which I believe can work better as a novel. The script is about 140 pages long, written in screenwriting format ie it is broken into scenes with action lines and dialogues. I do have a 2 page synopsis, and a longer 20 pages one also. Would a publisher accept a script instead of a manuscript at the initial stage? Or maybe the first few pages of the script to get an idea of the style of writing? The entry into the traditional publishing world is guarded by editors with biased preferences and largely conventional views on what’s acceptable and what isn’t. Typically, movie scripts can’t be passed off as novels. So, in your shoes, I’d have created a novel version of the story first. Thanks Sameer. You are right, I suppose a editor/ publisher wouldn’t want to judge any material in a format other than the one its to be published in. Thanks for tips . I am about to complete an historic fiction. Suggest me the best way to publish it. Srikanth, your query is quite general, so here’s a whole collection of tips to get published in India. Hi. I recently came across Booksoarus and i have to tell you that you’re doing some great work, and it really helps first time amateur authors like me. I see how responsive and helpful you guys were in the comments(Sameer replied to everyone, and in detail). I have been working on a novel for quite some time now, it is a story about three friends, one of whom tries to overcome his existential crisis as they set out on a last minute journey to Parvati valley. I am on the verge of finishing it, just really trying to get the words right for the very last chapter. Well the thing is that i’m looking for people, people who have literary experience and expertise to review my work before i send it to a publisher. Tushant-ji, for your kind words, aapke mooh mein ghee shakkar. 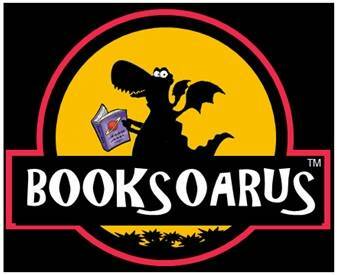 On the review request, drop us a note on: info at booksoarus dot com and we’ll see what we can do for you, buddy. I am ready with three books and working on the fourth but I have yet not started my part to get published. neither have sent any direct proposal nor have contacted to any agent. As I don’t have any direct or indirect contact in publishing arena..I feel like alien and am too shy and too hesitant to contact a publisher. I hope for a great suggestion from you. Bipin, the ‘great(! )’ suggestion I have for you is to start sending out query letters to agents and publishers. No better way to get on their radar. You are sending it from the privacy of your home. Rejections aren’t happening publicly. You aren’t coming face-to-face with them at any point in the process. Shy writers couldn’t ask for more, right? If my book will be published in any of the near future, this article by Lavanya has had a great motivational factor onto it. I am just one among million writers who scribble in their papers and have desire to get such coveted job (Writer) successfully. Having not known that publishing a book was just a hurdle, reading such articles have made me crystal clear before I click my ‘send’ button attaching my manuscript to the publishing houses. Now that I have become very clear in ever inch by inch process of submission, I have to thank Lavanya for her guidance with her altruistic positive vibration favoring every writer including me. Good day! There are so many characters involved like editor, literary agents, publisher and many more and then there is self publishing or publishing by publishing house. Is there any article that talks about the exact roles of these people and what each one expects from the the writer of the novel. More precisely if there any article that talks about the entire process flow from once the manuscript is ready to how to give to them, whom to give and various aspects of every process as there still remains certain ambiguity on the entire process of publishing a novel and role of each characters. Please help. @Nagarajan: Thanks! I’m sure this would add to Lavanya’s karma points…and amplify her, er, altruistic positive vibrations! I am writing a real life love story (non-fiction + romance). My story is in the form of a diary and and is based on a real love story with real life experiences of a person. I want to know whether my way to write the book in the form of a diary is acceptable or not. I do have many more queries so I want to contact you through mail. Please provide me with your email id as it would be a great help to me.Hoping to get your reply. My email id is- gitanshu2708@gmail.com. I am a 16 year old,i am working on a novel which is about feminism and struggle of females in small towns.The main protagonist is no superhero or gutsy girl but a normal girl to whom most of us can relate ourselves. All that i want to is if i can get my book published for free and if i can apply for getting it published before i complete it? My book is under consideration with a literary agency(Siyahi). I wanted to know from you, that if they agree to pitch my book forward, would they be expecting me to pay for their services before hand or will derive a commission from my royalty amount later(after the book gets published)? @Damien & Shreya: You don’t need money to get your book published through traditional publishers. Approach them with a query letter. @: Gitanshu: Any format is fine as long as it has an audience willing to pay for it. @Joshi: Literary Agents don’t need to be paid by authors (assuming you are only considering them for their agenting services). They get a share of the advance + royalty from the publishers. Please continue doing this. It’s immensely useful for first time writers. My question. Can the marketing problem be circumvented by some other clever marketing strategy? Have you heard of any such cases in India before or in sci if genre. First of all congrats to u for working so nice and getting good responce. I have approached too many publishers, some of them are very noun publishers like Penguin and so on. But each of them first ask for the sample chapters then full manuscript and finally when I feel like ‘It would definitely got published now’ , they show me their packages for publishing which are of thousands of Rs. Would you suggest me some loyal publishers? Thanks in advance and best luck! Can you please suggest a few reliable literary agents? Most them want the whole manuscript, which is not a very comfortable thing for a new author. I know there are laws to protect copyright etc etc. But in the context of India laws exist only on paper. @Avinash: If you don’t have an author platform and brand yet, then the challenges to publish under a pseudomym are pretty much the same. Ashwin Sanghi (Krishna Keys) published his first book under the pseudonym Shawn Haigins, which is an anagram of his name. After he gained fame, the earlier book got re-published. @vinus: That’s the sad truth about publishing. Even traditional publishers are struggling to make money and launching vanity press businesses to keep revenue stream going. @Rupesh: Yes, you can print and sell a book without an ISBN. I clicked this article today and boy am I impressed. Mr. Sameer, you are doing a fab work and I am not impressed but inspired by your dedication in helping newbies like me. I have just started writing and now I feel comfortable that I am not alone out there. I thank you from the bottom of my heart for such informative article. It is precise and that is what makes it unique. You will surely hear from me soon. hi sameer…just now i read your valuable suggestions and tips and cant resist to say..its more than generosity. after a reseach of two years i have just completed a book which is a love story set in riots that once largely afftected india. but frankly speaking i have no idea of getting it published and also have fear that it may be stolen or duplicated after it is submitted somewhere….please guide me in this regard..!!!! I am writing a fictional novel, i have the whole concept in my mind and have written the prologue and some chapters. Could you spare a few time for me to critique my work. It would be very helpful for me if you do so. Kindly advise me on the following questions. Specific clauses have been inserted by publisher in our contract regarding these. 1. Is it necessary to sell secondary rights apart from publishing rights to the publisher? The publisher says its mandatory, and everyone does it. 2. What’s the fair rate of royalty distribution for foreign sales? 3. Am i bound to sell worldwide rights? Cant i just sell India rights? @Raktabh: Thanks for your kind words. @Ankit: I’ve shared links to other articles I’ve written on getting started, copyrights etc. Hope you find them useful. @Sandeep: Sorry, I wouldn’t be able to help with it at this stage. My team is swamped with requests and we’ve temporarily stopped accepting new requests. If you’d like a referral for others who can help, send me an email. @Aman: Don’t let publishers arm-twist you into selling them all rights. You are the owner of those rights and you have complete flexibility to retain the ones that you want. Specially foreign rights, where the Indian team will probably sit on it and do nothing after getting it for cheap. could you please help me with names of publishers and agents who are open to short stories where the numbers can range between 2-5? I have a query. I have amused myself by completing an erotica novel. Now the characters and the plots are set majorly in India. The theme is also a very mushy mushy Indian, but then, it has a lot of eroticism in it. I got inspired to write it after reading E.L. James’ novel Fifty Shades of Grey. Although, it could be a taboo to publish such a thing in India. Since, my work (read: my trashy novel) has certain true incidents and some shocking revelations, I don’t want to risk my identity or rather cause any harm to the sentiments of any person or community. Hence, I would like to publish it under a pseudonym, can you guide me how do I go forward from here given that my novel is completed now. Its 61000 words (spanning over 220 MS word pages) and it is amply supported by a detailed as well as a brief synopsis, character bible, story time line, and some hand drawn pictures to help me describe the scenes and the events in the story. 1) How should I approach the publisher’s and (or) the literary agents considering that I want to publish this book under a pseudonym (and don’t want to reveal my original identity). Should I submit it through my original identity and let them know about the pseudonym thing? Or should I submit it through my pseudonym and not tell anything about my original identity to any one what so ever? In such a case, how will the contract and other things like receiving the royalty take place? 2) In case, I publish through my pseudonym, what do i write about the author info? Or is it absolutely necessary to write something about author info? Does not the book, its story, its content, and the way it has been told count in the long run? 3) The third question is a bit technical. Should I submit every thing? i.e. my character bible for the story’s major and minor characters. the notes and pictures that i used to help build up the novel. I personally think, its not necessary to get the notes and pictures. Though, it might help for the marketing team to design a cover page, or write a jacket blurb or something like that….. Some or rather all of my queries might sound a little more than paranoia to you. But, trust me, I can’t find enough info on the net regarding these. Hence, I decided to put the query on a forum like this. My apologies if I sound too idiotic. Here are a few views that should help you decide if you should reach out to publishers anonymously or reveal your identity (at least for the negotiations). Publishers evaluate not just the plot and the quality of writing, but also the author’s credibility and reach in the market. For first time authors with no platform, it doesn’t matter as much. The original name is as good/bad as the pseudonym. If you already have a strong network of readers who’d be willing to buy your book, it would be important for you to share this with your publisher. Publishers prefer reading only the query letter first to gauge the potential. Don’t bombard them with all the other supporting material, just because you have it. If/when they ask for more details, mention to them that you have more than just the manuscript to share. Let them choose what they want to see. Designing the cover page is an event that’s still beyond the horizon. Hold on to your horses and take it one step at a time. I have written an erotica recently. But I am afraid if that is legal in India to publish. If it is allowed is there a limit in using explicitly in words…..
Kudos…to you for your great work. I have gone thru each tips that you shared. Iam a real amateur in publishing and sending letters to editors. The only thing i know is just write a good story so i want your help as what should be my next move after writing a good novel and please explain the procedure. I am a student n working on my own love story. I wish to keep my identity a secret coz of family reasons.profit or earning is not my aim.I just wish to get it published. How should I go about it? And u mentioned that only 3 chapters to be sent to the publisher..how lengthy can each chapter be? And i have been asking for help on many websites..I’ve been posting comments..but no reply from anyone. I’ve been writing for a while now but only short stories. I would like to know if it is advisable to publish a book on short stories. Any tips from you would be a great help to me. Thanks for setting up a site that guides new writers. you and your website is like an oasis in the midst of a desert in the world of publishing. 1. What is minimum and the maximum number of stories that can be published in one collection? 2.How much would be the approximate cost? 3. Who will take care of the publicity of the book? I will be waiting for reply. Thank you. most of the guys want to safeguard their work but don’t have an simple sober idea about and how to do that. i think that one should do “SELF REGISTERED POST” of the menuscript WITH ACKNOWLEDGEMENT SLIP BY INDIAN POST ON THEIR OWN ADDRESS BUT DO NOT OPEN IT WHEN RECEIVED ” by doing this they are safe until they found it is copied or something , if it happened then they can sue the individual and on demand he can produce his registry in the court as an evidence. AS SIMPLE AS THAT …. This is an absolutely fantastic blog post on getting published in India. I have a lot of experience writing ebooks for Kindle. I am training my sights on writing a book of my own (finally!). Great content, useful tips and solid, useful information. Thanks! Hi sameer, m in merchant navy, nd hav written a fiction novel , I hav talked to publishers they say to send 3 chapters of manuscript, do I need to copyright my novel before sending it and how to get copyrighted , if needed.Kindly reply mee. And it good to be self published. I do not have any queries to ask! I just wanted to greet you for your noble and exemplary good work. It is because I have been benefited by your articles, not pecuniary though. It eased my troubles. Hence, thank you once again. Good work. Keep doing. Wow! Just finished my novel and started researching for everything valuable, from printing to writing technique for editing and rewriting (X10) and boom! I land here. Thank you guys so much for keeping me on the ground. Great post and gave me a headstart, so I know what I will be facing. Working on my cover letter and synopsis with help of your other posts. It was great reading this. Kudos for the great support you’re giving people like me! Do you have any info about a literary agency called Labyrinth (run by Anish Chandy) and another called Book Bakers (Suhail Mathur)? I found these listed as official agents of Hachette on their web site, but neither of them seems to have a web site or list of authors represented available. Is there any alternate way to check their credentials? First of all I would want to thank you for such fantastic and knowledgeable article you have posted here which really do take away the lot of fear and worry of first timers like me. I should say your article is truey motivating. All I would like to request you to help me with the name of publishers who encourage the new comers. I would then send my work in exact way they want it to be and wait my chance to get my book published. I have written A Romantic Novel. I had self published a mytho based novel without exploring any other avenues. Is it possible for me to get a traditional publisher for it? Can u suggest someone who can go through my work and advise whether its worth trying for a traditional publishing option? Thank you for providing the many interesting insights. Very informative indeed. I have a self-published novel seemingly doing quite well and has received encouraging feedback but suffers from lack of proper distribution and promotion. I have been advised by some to approach big publishing houses for better reach and distribution. If I go through an agent will the work be considered for presenting to a large publishing house (after due evaluation, of course) or does it have a likelihood to be rejected just because it’s already been self-published? i write a book in hindi about a wizard and his journey to find his parents,is there any chance that publication house accept my work because it’s in hindi language. I’ve written a YA sci fi novel and am looking for a publisher. Which publishing house would you recommend in India? Great website for all the necessary information needed for buddying writers. Thanks much. Its a great post.. Thank you for the information. I would be happy if you help me with this doubt.. There was a time when I believed that having stories attached with honest positive feedback was the way to attract publishers. But that failed miserably. Creating a short stories blog sure got me a lot of great reviews, I clicked well with my blog readers and obtained several positive reviews on my stories, but that did not help approach publishers. Nor did posting stories on some famed writing websites take them anywhere closer to publication. Rather, all this just made my hard work available for free across the Internet, and also exposed it to the risk of plagiarism. I’m not trying to discourage you, but please do consider these factors when you think of exposing your work on the Internet for free. Really encouraging are your prompt and apt replies, and as someone said above, it is indeed a noble job. And I recently completed my debut novel – it is a meta -fiction – of romance, psychology and philosophy. Would you or Lavanya dish out some advice for me, regarding how I can move forward with this manuscript of mine. Currently, I am finding it difficult to self-publish my book – which is being the norm now. So yeah, traditional publishing seems to be my only choice. And it would be really great if you or Lavanya could read my book and edit it – by your convenience. You people seem so forthcoming and helpful. Hello I just stumbled upon the blog. And its very helpful. Can you please tell me if I want to publish a book can you review my work and give suggestion? And if you can’t then can you refer to anyone else? And then can you help me to write what kind of query letter I should write so that literary agent can have a look? I just came across this blog and read the above article. Can you tell me how self publication works? I mean, can a writer self publish his book if it gets rejected by the publishers? I remember reading that Matthew Reilly, an Australian writer did that for his first book, Contest. I am just curious if it’s possible in India and if yes, how does one go about it?